Many thanks from all the players to Jill Newby for organising such an enjoyable day and for providing a delicious lunch, including wonderful puds that ruined the good intentions of anyone trying to lose weight!! Also a big thank you to Chris Bray for impeccable marking throughout the day, for putting up with all the barracking about "All change!" and for kindly taking the photos for us. 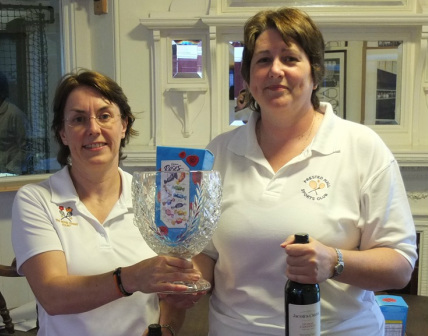 Eight pairs made up of players from all over England entered the Tabley Vase with Fiona Harrison from Jesmond Dene, Hazel Dunn from Newmarket, Annabel Wyatt from Prested and 3 girls(!) from Bristol along with players from the local clubs. The group matches steadily worked their way through with very obvious pairs winning through. 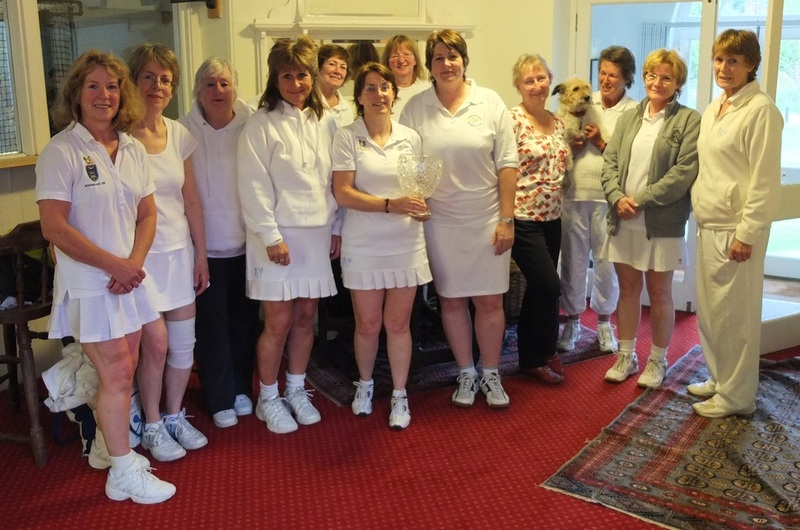 The first semi-final saw that experienced pair of Pam Tomalin and Chantelle Harding against Annabel and Candida Nicholls. 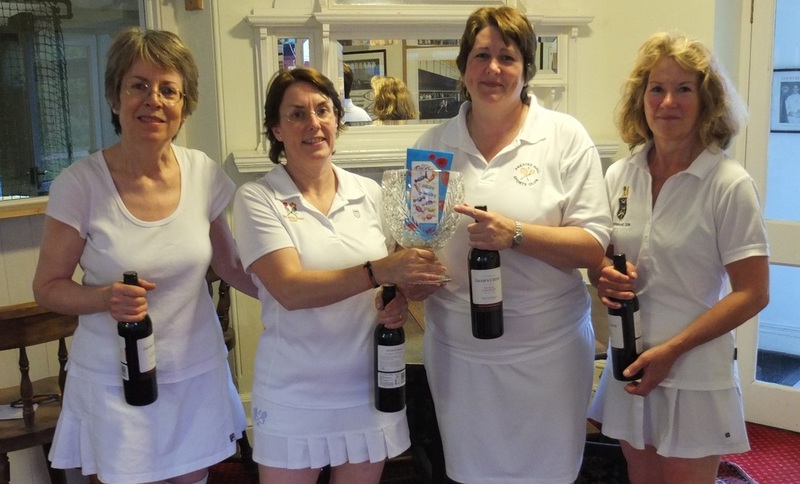 Candida and Annabel got off to a good start and a lead of 4 -2 but Pam and Chantelle were steadily making their way back when at 3 – 4 and game point they rushed their shots and made 2 mistakes to go 2 – 5 down, with the final game disappearing quickly. The next semi was a very tight match with Diane Binnie and Victoria Carew-Hunt against Sarah McGivern and Fiona Harrison, both scratch pairings. It was a seesaw affair with pairs winning alternate games right up to 5 – 5. Fiona served particularly well and Sarah’s tactical knowledge and experience gained them the serving end, but eventually Diane and Victoria’s steadiness and in particular Victoria’s retrieving of balls off the tambour edged them through 6 - 5 to the final. The final was another match that went game for game until it reached 4 – 4 when Candida’s and Annabel’s good serving and determination finally dominated to see them take the match 8 – 4. Throughout the match Diane and Victoria had played well and put up a steady defence but their opponents extra power was too much to withstand. Thanks to Chris Bray for his sterling efforts with the marking. This was a most convivial way to start the beginning of the tennis season.